May 5 2016 — Sematext, a global, Brooklyn-based products and services company that builds innovative Cloud and On Premises solutions for application performance monitoring, log management and analytics, today announced that it has been recognized by Docker as the Ecosystem Technology Partner (ETP) for monitoring and logging. 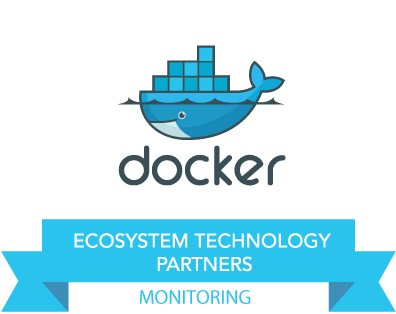 This designation indicates that SPM Performance Monitoring and Logsene have demonstrated working integration with the Docker platform via the Docker API and are available to users and organizations that seek solutions to monitor their Dockerized distributed applications. Sematext Docker Agent is extremely easy to deploy on Docker Swarm, Docker Cloud and Docker Datacenter. It discovers new and existing containers, collects Docker performance metrics, events and logs, and runs in a tiny container on every Docker Host. In addition to standard log collection functionality the agent performs automatic log format detection and field extraction for a number of log formats, including Docker Swarm, Elasticsearch, Solr, Nginx, Apache, MongoDB, Kubernetes, etc. Many organizations invest a lot of time in monitoring and logging setups because monitoring and logging changed dramatically with the introduction of Docker and related orchestration tools. We’ve observed that organizations and teams that use different tools for logging and monitoring often have difficulties correlating logs, events and metrics. Sematext automates performance monitoring and logging for Docker. Operational insights are provided in a single UI, which helps one efficiently correlate metrics, logs and events. Sematext Docker Agent detects many log formats and structures the logs automatically for analysis in Logsene. “We would like to congratulate Sematext on their inclusion into Docker’s Ecosystem Technology Partner program for logging and monitoring,” said Nick Stinemates, VP of Business Development and Technical Alliances. “The ETP program recognizes organizations like Sematext that have demonstrated integration with the Docker platform to provide users with intelligent insights and increased visibility into their Dockerized environments. The goal is to provide users with the data needed to ensure the highest degree of availability and performance for all their business-critical applications”. Sematext Group, Inc. is a global, Brooklyn-based products and services company that builds innovative Cloud and On Premises solutions for application performance monitoring, log management and analytics, and site search analytics. Sematext Docker Agent is extremely easy to deploy; it collects Docker performance metrics, events and logs and runs in a container on every Docker Host. In addition to standard log collection functionality the agent performs automatic log format detection and field extraction for a number of log formats. Besides monitoring Docker, Sematext SPM agents also monitor applications running inside and outside containers, such as Elasticsearch, Nginx, Apache, Kafka, Cassandra, Spark, Node.js, MongoDB, Solr, MySQL, etc. Sematext also provides professional services around Elasticsearch, the ELK / Elastic Stack, and Apache Solr – Consulting, Training, and Production Support.